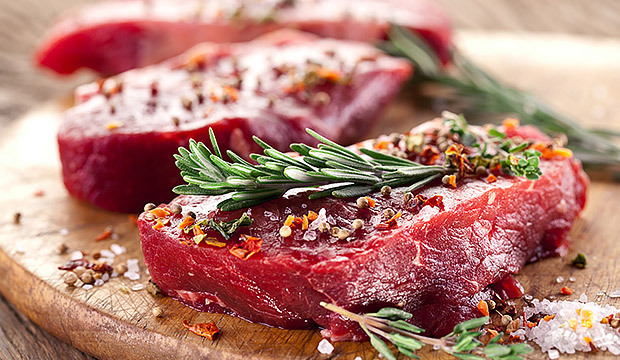 Unlike many meat markets that purchase their meats pre-cut with added solutions and preservatives from a mass-produced warehouse, we have made the decision to continue with the old-fashioned method of preparing the meats ourselves. To ensure the meats you serve your family are of supreme quality and freshness, our meats are cut fresh daily in our markets by our very own professionally trained butchers. Our goal is to always offer you, our valued customer, outstanding service from our meat market to your family’s table. We strive to stay in tune with all your needs, so if you don’t see a cut that works for you, just ask our in-store butcher to cut a custom piece for you. Custom meat cuts are available, upon request, during our normal cutting hours of 7am to 2pm. You always have the option of calling ahead for any custom cuts of meat. We also provide bulk quantity purchasing for both restaurants and individuals. Check with our meat department manager for availability and pricing.